It's a dilemma all cruise lines face: How do you update and refresh smaller ships that physically aren't able to complete with the shinier and larger vessels plying the marketplace? 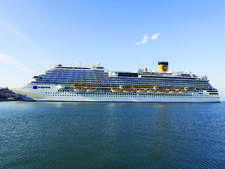 With neoRiviera (and several other "neo" flagged ships in its fleet), Costa has made the smart decision to remake the cruising experience itself to cater to an adult audience that's more focused on destinations than brand-new hardware. 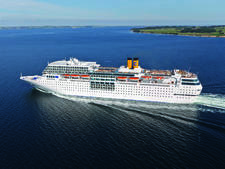 After serving for a decade as Ibero Mistral, 1,727-passenger neoRiviera relaunched under Costa in 2013 as one of the line's first "neo" ships. The concept calls for overnights and longer port stays, an opportunity for premium small-group shore excursions, and a more casual atmosphere that's still adult focused. 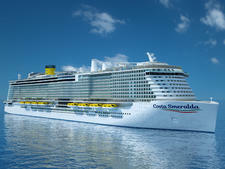 (Unlike with other ships in Costa's fleet, kids pay full price on neo vessels, which means you don't see as many of them.) Menus have been rejiggered to focus on Italian specialties, developed in conjunction with the Slow Food movement and the University of Gastronomic Sciences of Pollenzo. The number of daily announcements have been cut down, and activities such as stargazing added to the lineup. To the delight of its primarily Italian customer base, Nescafe machines have been added to most cabins. As is usual for Costa, North Americans are in the minority on neoRiviera. On our sailing, a seven-night voyage through the Arabian Gulf, more than 32 nationalities were represented, with most hailing from Italy, France, Germany and Spain. Crewmembers speak a multitude of languages, and all menus are printed in Italian, English, French, German and Spanish. 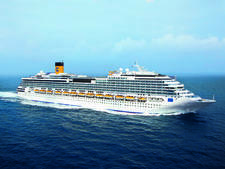 With so much diversity onboard, it's hard to divine how Costa's average cruise passenger would feel about a neoRiviera sailing. As Americans, we were perplexed by the lack of early breakfast offerings (you can't find coffee anywhere before 7 a.m. unless you order room service), the relatively small buffet, the uneven service and the sparse lineup of activities on the daily program. Free water is only available in the buffet; otherwise, you have to pay for bottled or buy a water package. While these things frustrated us, our European counterparts seemed mostly unfazed. 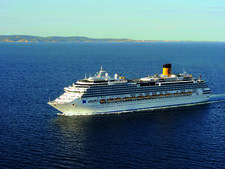 In addition, we were the only ones to show up for several quiz rounds; the bulk of the passengers seemed happy to spend most of their time lying on the Lido Deck in the sun, cigarette in hand (smokers are given a sizeable plot of real estate near the pools, the Amalfi Cigar Lounge, the casino and cabin balconies). E-cigarettes are also allowed in cabins. Beyond such international concerns, however, we appreciated the neo niceties. Among the dining options, Restaurant Cetera stood out for its quality, particularly the pasta courses and nightly regional specialties, marked with a butterfly. The primarily Italian wine list had plenty of reasonably priced options, and open seating made planning the evening a breeze. 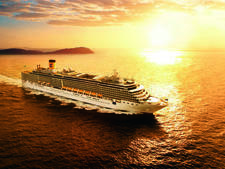 The opportunity to spend more time in port is one of neoRiviera's best features, and it's not a surprise that the line is adding the concept to other ships. On our cruise, passengers were given an entire day to embark in Dubai at their leisure, which meant few lines and a less frenetic atmosphere, both within the cruise terminal and onboard. Passengers came and went as they pleased over a 24-hour time period in Abu Dhabi, with shore excursions built around desert sunsets and sunrises. 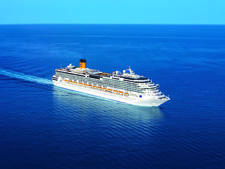 When not in the Arabian Gulf, neoRiviera sails the Mediterranean; similar schedules there allow passengers to dine out in Barcelona or take a sunset stroll in Malta. 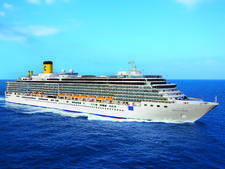 Bottom line: If you're a go-with-the-flow, destination-oriented passenger who dislikes the regimen and structured activities of a larger ship, internationally oriented neoRiviera could come as a welcome break from the norm. If you need more structure and consistency, you're better off looking at the more traditional cruising experience. 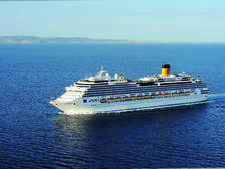 As befits its Italian roots, Costa neoRiviera attracts an international clientele; ship announcements are made in Italian, Spanish, French, English and German. 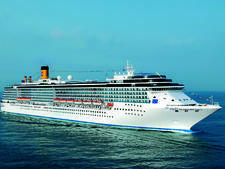 On our Arabian Gulf cruise, Italians were the majority, followed by French and Spanish. Out of 1,056 passengers, only 21 were American. 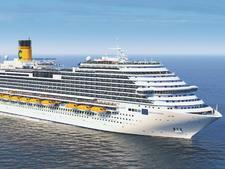 More Americans sail neoRiviera in the summer, when it's based in Italy. 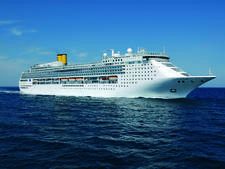 Costa neoRiviera is not designed as a family ship, and children under 18 pay full price. On our early December sailing, only a dozen kids were onboard, although that figure can swell to 300 in the summer. Age range varies, depending on the sailing; adults 50 years and older appeared to be the majority. 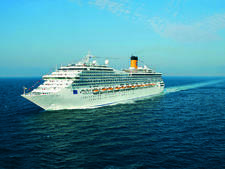 Costa's neo collection advertises itself as casual cruising, and this was borne out on our voyage. Women wore shorts, capris and sundresses during the day, swapping in pants at dinner. Men wore T-shirts and shorts during the day, long pants at dinner. Because the line is European, do not be surprised to see even older gentlemen wearing Speedos at the pools. 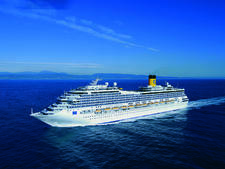 Costa neoRiviera has one "elegant" night per weeklong voyage. While clothing styles varied considerably, men generally wore collared shirts and women wore simple dresses and skirts. We saw only a handful of sport coats and cocktail dresses in the main dining room. Because neoRiviera regularly cruises in the Arabian Gulf, women passengers are advised to bring clothing that covers their shoulders and knees. The onboard currency is the euro. A service charge of 8 euros per person, per day, is automatically added to your bill. Service charges of 15 percent are added to bar and spa bills.